If you’re debating studying abroad, check out this blog on the top reasons to go abroad. 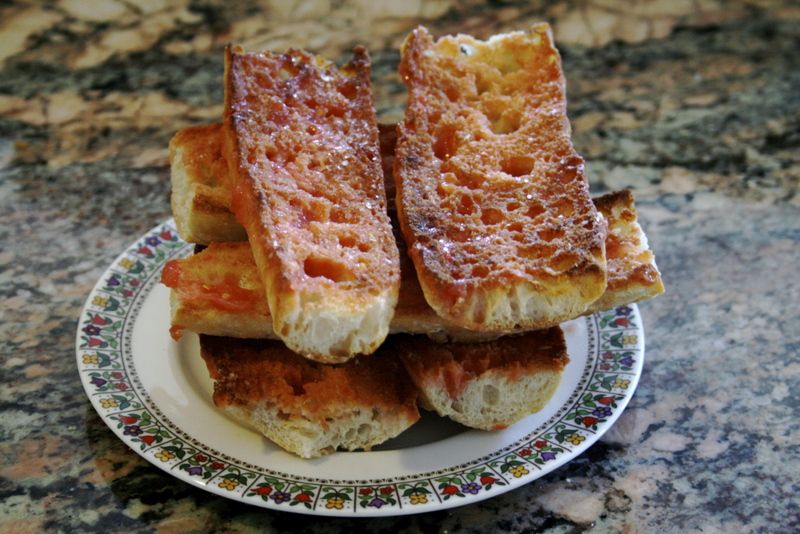 Tomato bread is typical in Cataluña. Before Barcelona, I had never heard of it (it wasn’t served in Granada), nor had I ever had a fancy for tomatoes. Now, I’m hooked. Pa amb tomàquet (the Catalán name) is a typical tapa, but also is used for sandwiches—if you order a ham sandwich, it’ll have smushed tomato on the bread. It’s a delicious compliment to any meal, and a healthy snack.